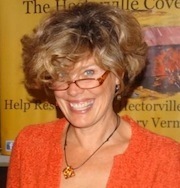 Vermont short story writer Megan Mayhew Bergman, author of Birds of a Lesser Paradise, published by Simon and Schuster. Today's Write The Book Prompt was inspired by my conversation with Megan Mayhew Bergman. Twice during our conversation, she talked about slowing down the fiction narrative, to its benefit. She mentioned slowing things down poetically as you approach the end of a story. She also talked about slowing down the outcome of a suspenseful moment in a story. This week, think about how you might use this advice in a story or a scene of your own. Slow things down, perhaps when you're most tempted to speed things up, and see what happens.